These Garlic Dill Potatoes are easy to make, and easy on the budget. 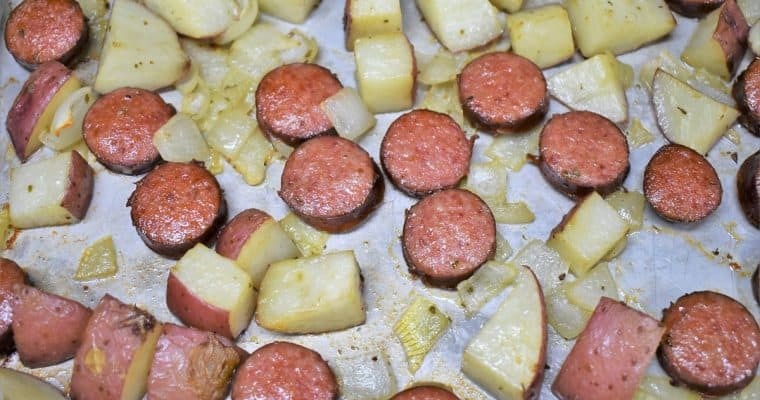 This recipe requires just a few ingredients and it’s quick to make; a perfect side dish for busy weeknights. 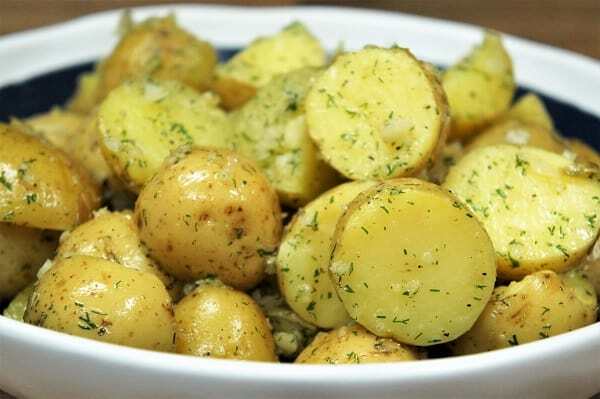 Pair the garlic dill potatoes with chicken, pork or beef for a simple and delicious side dish. Enjoy! Add the potatoes to a medium pot. Cover the potatoes with water and set them over high heat. Bring the water to a boil. Add 1 tsp. 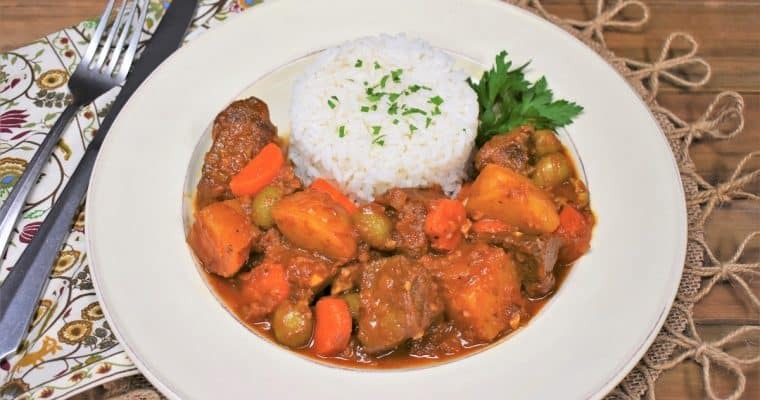 of salt and continue boiling for 15- 20 minutes, or until the potatoes are tender. A knife should go through the potatoes easily without resistance. Drain the potatoes completely. When they are cool enough to handle, cut them in half or quarters and place them in large serving dish. When the potatoes are almost done, gently heat the olive oil in a small non-stick skillet over medium heat. When the oil is hot, but not smoking, add the garlic. Gently cook the garlic, stirring constantly for about 30-45 seconds. The garlic should be sizzling. Immediately remove the skillet from the heat so the garlic doesn’t burn. Add the dill, remaining salt and pepper, stir well to combine. While the oil is still hot, carefully pour it over the sliced potatoes, toss gently to coat. Take care when cooking garlic, it burns quickly, and becomes pretty much inedible. Follow these tips for perfectly sautéed garlic. Always cook garlic over gentle heat, keep the heat on medium or medium-low. Make sure that the cooking oil is not too hot or smoking when you add the garlic. If the oil is too hot, the garlic will burn as soon as it hits the pan; it will burn before you can even react. Stir garlic frequently while cooking, do not leave it unattended. When sautéing, cook the garlic for just a few seconds to a minute. When the garlic is fragrant it’s time to remove it from the heat or add other ingredients to the pan.